Oh my goodness, your end table wound up next to my linky at The Shabby Creek Cottage and so glad I saw this -- I LOVE the blue color! That's the exact blue that's my obsession right now. Next weekend I'm painting a closet nook that color. Your table redo is gorgeous! One of my coworkers keeps showing up at work with beautiful clothes/accessories from Goodwill - if they have things like this for $7.99, I'm SO GOING to Goodwill this weekend. Thanks for your kind comments! Good luck on the closet painting! Sounds like a fun look. Goodwill - go often! Sometimes the prices are sky high, other times you get lucky. This was one of my better finds! Happy Hunting! 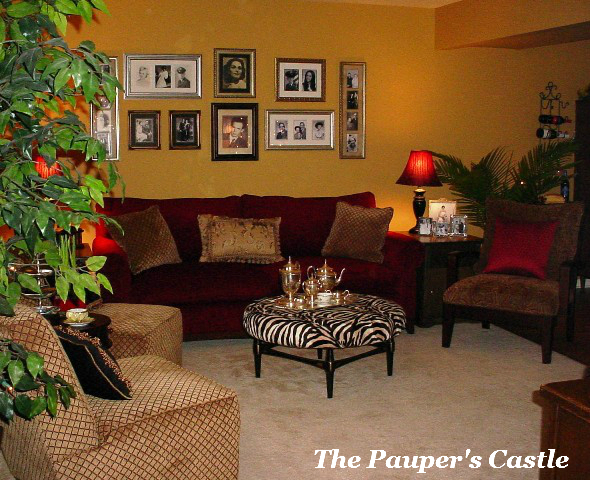 Beautiful transformation - love that pop of color. Very pretty choice of color, what a great difference! Thanks DeDe! Hopped over and shared. Thanks for the invite! Followed your rules. Thanks again! The the rehang of the "Family Tree". Gives me ideas. 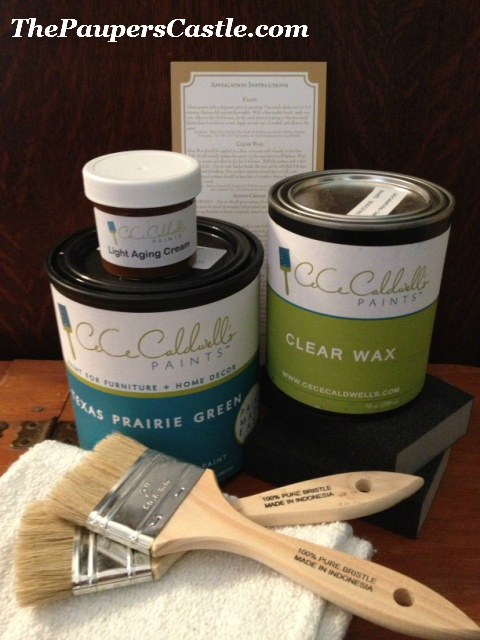 Of course, the table redo with Ce Ce Caldwell paint is wonderful. My new favorite color, Destin Gulf Green. Great job. Someday I plan to visit your booth, we live in Lebanon and have booths in Lebanon, Lafayette, and Crawfordsville. Glad to inspire! Isn't that color Yummy! I am in love with the brighter pops of color that are coming for spring! Sounds like you keep very busy with your spaces! Enjoy your weekend! love it Kellie! This is the combo I'm doing on my console table. Where did you get the pillow adj to your table? I would love to bring those colors into my house! Thanks Shelly! Can't wait to see what you do. It's always beautiful! I got the pillows from Pier 1 about 2 weeks ago. They match the fabric I am going to recover a chair in. They were on clearance, better run! I bought the last 2 in Indianapolis. They are sold out online! I fell in love with them! Love the way the pictures look on those shutters!!! What a neat idea! You did a great job on that end table too! Everything looks great. 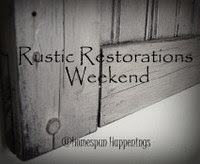 Thank you for sharing this at Rustic Restorations Weekend! Thanks Tammy! Thanks for hosting! Thanks for featuring! Honored! Shared info on FB and TW too linking back to you! Over from Redoux party. Love this piece. Nice work! !